We have many guests who love the outdoors, especially hiking. Some of the hiking trails range from easy to moderate to difficult. No matter what degree of intensity that you feel comfortable with, rest assured that there is a climb just right for you. The prize at the top (the view) is the best you have ever seen. One of Bolton Landing on Lake George’s greatest kept secrets is the Marcella Sembrich Museum. This rich in history destination was the summer retreat and teaching studio of opera singer Madame Marcella Sembrich. Every summer there is a concert series that runs from June 8 through September 5. Their theme this year is “Titans of Opera”. This is a must see if you are visiting us or are in the Bolton Landing area. You will not be disappointed. If you are interested in more information contact them or call 518-644-2431. June is the time of year to take a nice scenic motorcycle ride through the Adirondack Mountains. Come and experience all that one of Lake George’s biggest events has to offer every motorcycle enthusiast and the Boathouse is located just nine miles north of the center of the Americade activity. After a long day of riding, relax by the water in a comfortable chair. Bolton Landing has restaurants you can walk to, enjoy a nice dinner, and come back and relax some more. Looking for a girls weekend? Why not attend a May weekend, just for you. Renew your mind, body and spirit, enjoy all that this weekend has to offer. All of this takes place May 10th to May 12th. Rooms still available. Our wonderful town of Bolton Landing, NY and our Queen of American Lakes, Lake George are full of rich history. I have included a link to some great information. http://www.boltonchamber.com/bolton-landing-history.asp Enjoy reading! Even though we are sold out for this upcoming weekend, we will be open and still have plenty of rooms and suites available for the Presidents week. There are plenty of things to do and see in the Lake George area. If staying in and reading a book is all you want to do? Enjoy our fireplace in our cozy and warm Great Room. 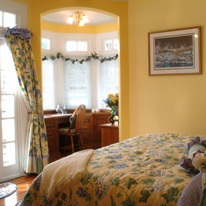 Call for a reservation 518-644-2554 or go online from our website to book a room.